College…Affordability? Can the Two Ever Come Together? College: for some of us, the idea is still years away; for others, the thought looms with only half a year before the big day. No matter what stage of the journey you’re in, many high schooler’s biggest focus becomes the idea of a post-public high education. First and foremost is the concern of getting into a school, crafting a perfect record of standardized test scores, joining as many extracurriculars as possible, and keeping up the best of grades. By senior year, there is another added worry of turning in about turning in college applications on time. Lo and behold, many students are thrilled when, in the winter and spring, they receive acceptance letters from an assortment of schools, leaving the hardest decision to which school will serve as the best pick. It’s often after this initial elation that reality sets in for both parent and student: College. Is. Expensive. According to the College Board, the average cost of tuition and fees for the 2015-2016 school year was about $42,500 for private schools, around $9,500 for state residents at public schools, and nearly $24,000 for out-of-state residents attending public universities. These show no point in dropping, either, as analysts estimate that all colleges face between a 4.5-6.5% increase in the cost of attendance each year. With such high prices, how are any average-income families expected to afford a four-year degree education without going entirely bankrupt? Though the task is growing trickier and trickier, your college education serves as a benefit to all those involved in it, so the point isn’t actually to make it impossible. Cue the cause of financial aid, assisting over half of all college kids with costs and applicable to almost all somehow. With a little bit of research and knowledge about your own life and goals in looking at different types of aid, a higher education can prove to be easily within your grasp. Grants: coming from federal/state governments, or the colleges themselves, these are most often need-based- meaning that they’re given based on your family’s financial circumstances- and fall as gift aid, or that which doesn’t require any repayment. 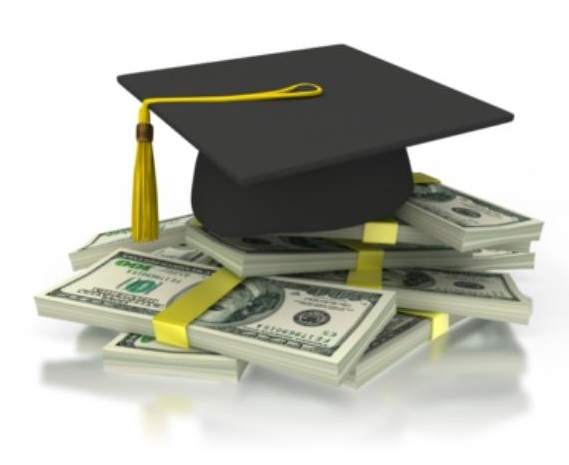 Scholarships: given out from government, colleges, and private organizations, students can apply to these for countless reasons, from academic/athletic capabilities to certain subject interests to volunteer work to even religious or ethnic affiliations. Because of the huge pool of opportunities, it’s best to delve into your own research to find that which best fits you. Like grants, these are often “gifts” that don’t need repayment, but can be either need or merit-based (that which is based on a student’s skill or ability). Loans: as the title suggests, this assistance is unlike the first two in that it is self-earned and does, eventually, need to be paid back. The money received is borrowed from a bank, the government, or a lending company, and then gains extra charge in interest over time. While this might sound like the least ideal option (hint: kind of is), the bonus is that they’re arguably the easiest to come by, and can be offered with a lower interest by the federal government to students that show a heightened financial need. Federal Work-Study Programs: offered by the government, this provides students with part-time jobs to (under)graduate students with financial need, allowing them to earn money to help to pay for their education. Oftentimes, these programs encourage community service work and that which is related to the student’s vein of study. Like a loan, these are also self-aid in their need to be earned, and are predominantly based on the student’s financial need itself. What’s the best way, then, to find out what it is that you can receive? Take to the nearest computer, and fill out the Free Application for Federal Student Aid, or FAFSA. This is a government form that’s designed to narrow and bypass the struggles of the college financial aid process, within it helping to determine whether or not students are eligible for federal aid and helping to find what it is that they might receive from the national government. And though you may sit there thinking that you won’t apply for aid, many schools require it themselves for their need- or merit-based aid packages. Additionally, you may be more fortunate than you think: the U.S. Department of Education estimates that it gives over $150 billion, that goes without any expectation of repayment, to students annually through the FAFSA. So what’s the harm in filing? The window for federal aid opens the first of the year that you plan to attend college, while other types– college, state, and private– deadlines vary, so you’ll know sooner than through other offered opportunities whether you’ll qualify. And the sooner you file, the better; Abigail Seldin, co-founder of free college comparison tool College Abacus, instructs just this, as “the sooner you submit your FAFSA, the sooner your school can receive the results of your FAFSA, so if your school is awarding financial aid or admission on a rolling basis, you are advantaged by having your information in early, because some schools will run out of money.” The federal government falls into the same boat, as federal dollars are limited: their first-come, first-serve basis will keep aid out of the hands of some procrastinators who need it. I won’t qualify for federal student aid- my parents’ income is too high. While a higher household earnings may limit your eligibility for need-based aid, there isn’t any income cutoff for federal student aid. Your qualification status will be based on a number of different factors, this isn’t kept to just your financials. Again, many schools use the FAFSA to determine eligibility for your aid status; so if it can’t hurt you, why limit your chances by not trying? Loans will reduce the cost of college. To be fair, this is a yes… and a no. While this borrowing can help families to manage cash flow by spreading the cost, they don’t wholly lower the expense. “A loan is a loan is a loan,” says Kantrowitz, “but a lot of financial aid award letters treat loans as if they reduce the cost.” Instead, loans only manage to reduce the upfront amount spent on an education; unfortunately, because of interest, they’ll boost the final cost in the long run. College costs the same each year, why do I need assistance? As we said, each year the cost of college makes a jump. In 2012, the tuition rate was increasing at twice the rate of inflation, according to Kantrowitz, meaning that a student could expect to pay 20-25% more in their senior year than in their first year. So while maybe you’re able to squeak by on costs in the first year of school, you very well might need the boost within the next three years. Only students who have good grades qualify for financial aid. Oftentimes, eligibility is not linked to academic performances- or, that outside of the merit scholarships that can be offered for such. But there are so many opportunities outside of that to consider. The only stipulation to keep in mind for your grades- outside of your own sense of achievement with making them good- is that you will often need to maintain grades that your school sees as “satisfactory” to continue to receive your aid. I’m too old to apply. Because federal aid is something that must be reapplied for every year, age has nothing to do with it; just because you didn’t receive financial aid in your freshman year means nothing for your chances in future years, There are basic eligibility requirements, but age nor ethnicity are looked at. The form is too complicated. This is one of the most popular myths held about financial aid, but the form has been changed to optimize simplicity, and it’s now easier than ever with its online format. You can use “skip logic” to answer only the questions that apply to you, and you can even transfer tax return data automatically. As a result, the average time to complete the FAFSA is now less than 21 minutes- that’s even less than it takes to watch your favorite weekly television show! And there’s an ease of accessibility to get you any help you may need within seconds- really! I need to file my taxes before applying. Also false. Because you can fill out the FAFSA on January first- far before tax day- you can estimate your information to submit, whether with ballpark numbers or using last year’s estimates. Your information is saved in your profile created before applying, so you can easily log back in to update your information. This is common practice in many states and schools, as well, so completing it early is no problem at all. What’s to grasp from all of this? College is a costly necessity in today’s world if you want to get anywhere, with both the cost and need of higher education are only growing as time passes. But you aren’t alone on this: help is out there and readily available if you look for it. The goal is to succeed, and to get you there with as little worry as possible. Whether you’re a freshman just figuring out what you want to do after high school or a senior getting ready to go off to their dream school, do yourself a favor and look into financial aid options. There’s no harm in trying, and a penny saved could prove to help you work towards that penny well-earned later on.